Waterford Lismore Jewels features the brilliance and clarity of the classic Lismore pattern with a dramatic pop of exciting color. 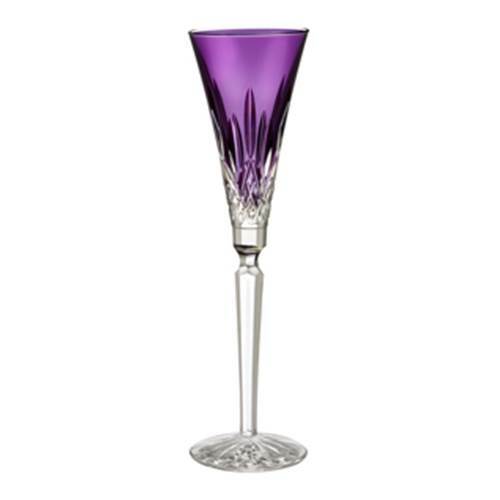 Raise a toast whatever the occasion with the Lismore Jewels Amethyst Toasting Flute, which adds colorful flair to sparkling wine, spumante or any celebratory cocktail. 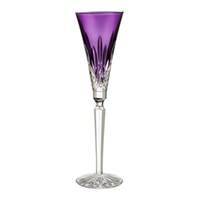 Featuring the classic Lismore pattern of dramatic diamond and wedge cuts, Lismore Jewels adds a pop of bold, bright, amethyst accent which ensures that this beautiful stemmed drinkware remains a provocative conversation piece. To preserve the clairty of your crystal we recommened handwashing. Handcrafted by Waterfords great craftsman.